It’s no secret… we LOVE small towns! 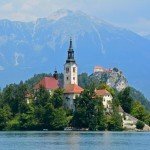 So, when we read about the small town of Radovljica, located just a short drive from Lake Bled, we made sure to check it out! The colorful facades of the Old Town cheerfully radiated in the bright summer sun. 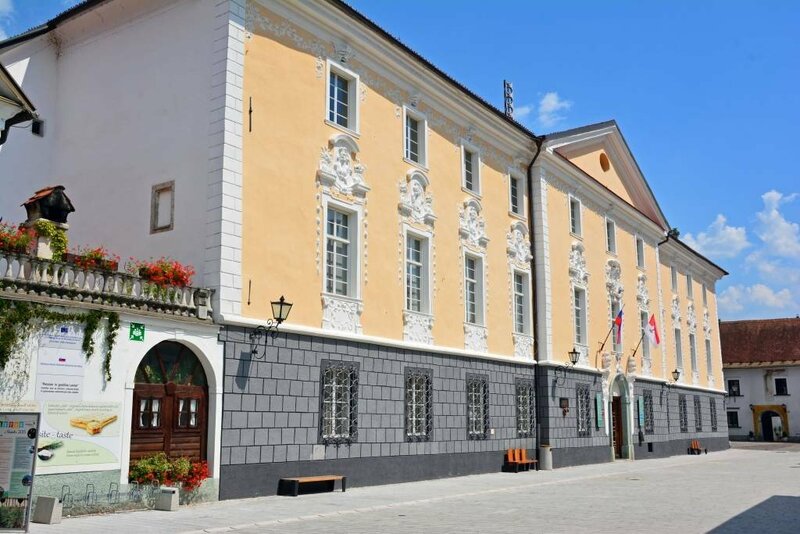 Radovljica has the highest amount of sunny days in the entire Gorenjska region. 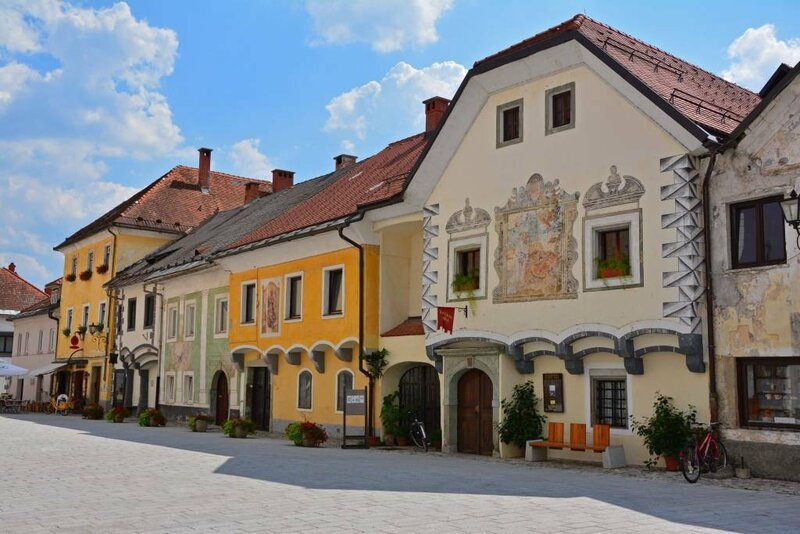 The entire municipality of Radovljica is made up of four dozen individual settlements and nearly 20,000 people, though it is the Old Town center that is of most interest to visitors. Also, something unique about Radovljica is that it contains the only still-existing moat in all of Slovenia. It dates back to around the year 1500. 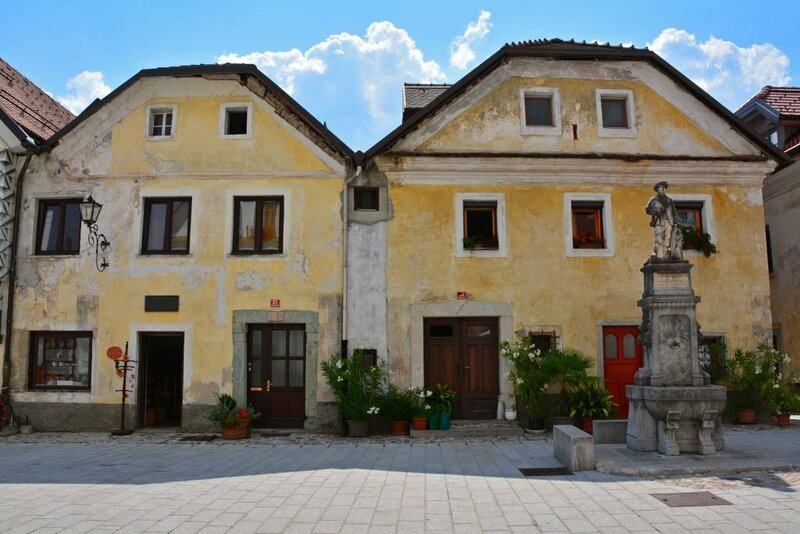 Radovljica was first mentioned as a market town in 1333 and became a town-on-record at the end of the 15th century. The Sivic House (pictured above on the right) is a rare example of an entirely preserved gothic-renaissance building from the 16th century. The Manor (pictured above) now houses the Apicultural Museum, School of Music, and the International Festival of Early Music. Be sure to stop by the Tourist Information Office just before the town square for a map to help you identify important buildings and learn some historical facts about the town. If you happen to visit on a Tuesday, meet at the Tourist Information Center at 10 am for a FREE tour. 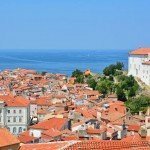 The Old Town center has preserved the structure and design of a medieval town dating from the 14th and 15th century. It’s an absolutely charming square to explore. There was hardly anyone there when we visited. The ridiculous August heat may have had something to do with that, but we rather enjoyed having the town almost to ourselves! 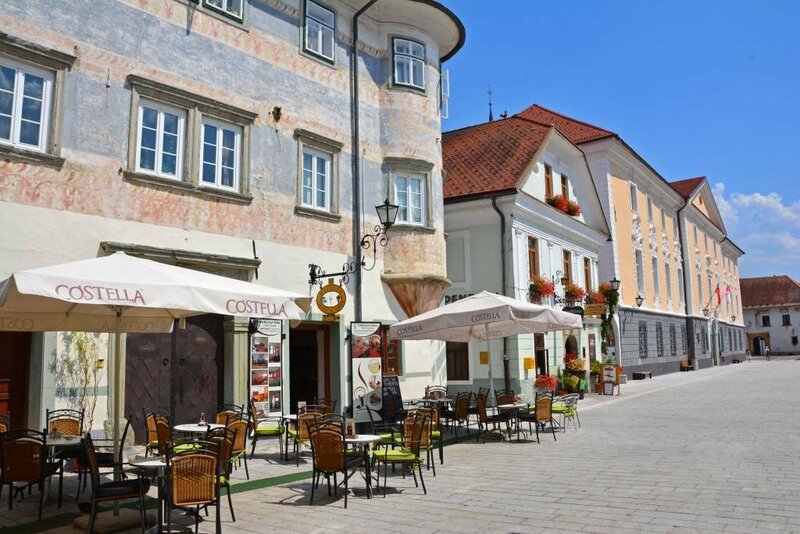 Though Radovljica may be small, there is an ample amount of museums, galleries, shops, and cafes to check out. One of the largest attractions is the Church of St Peter. 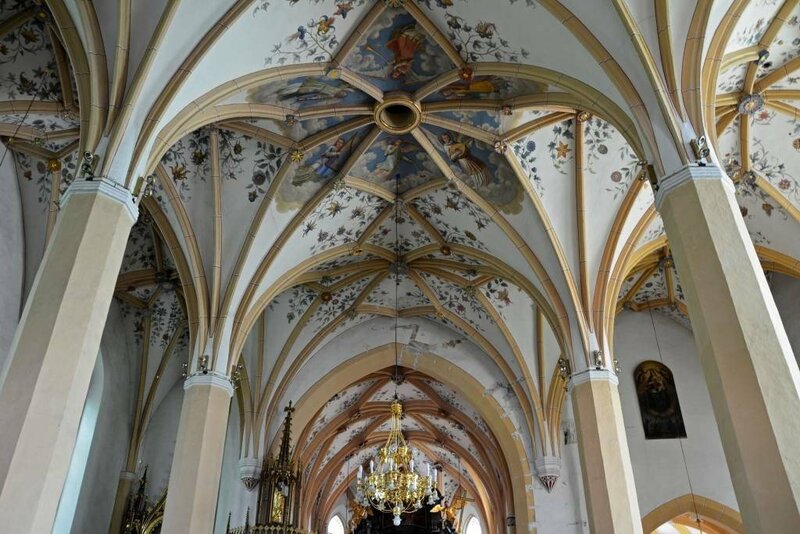 It is adorned by gorgeous vaults, an angel star, and a black marble altar. 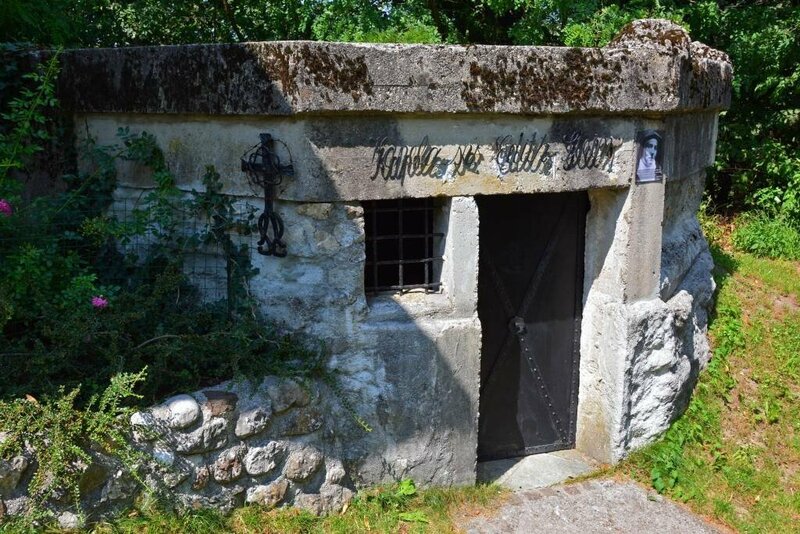 An old German WWII bunker situated behind the church is now the Chapel of St Edith Stein. Edith Stein was a German Jewish philosopher who became a nun after converting to the Roman Catholic Church. She later died in the gas chambers at Auschwitz when the Nazis arrested all Catholic Jews in Holland (to where she had escaped). 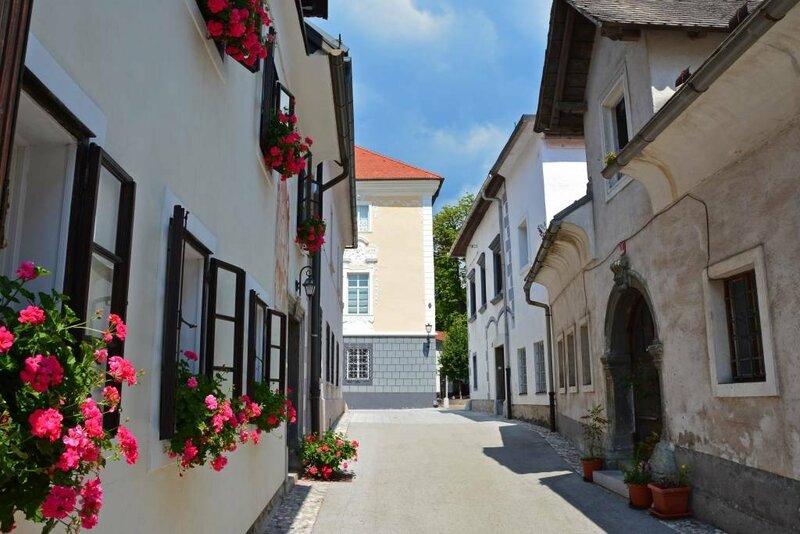 Full of history, beauty, and charm, Radovljica is definitely a small town worth visiting. 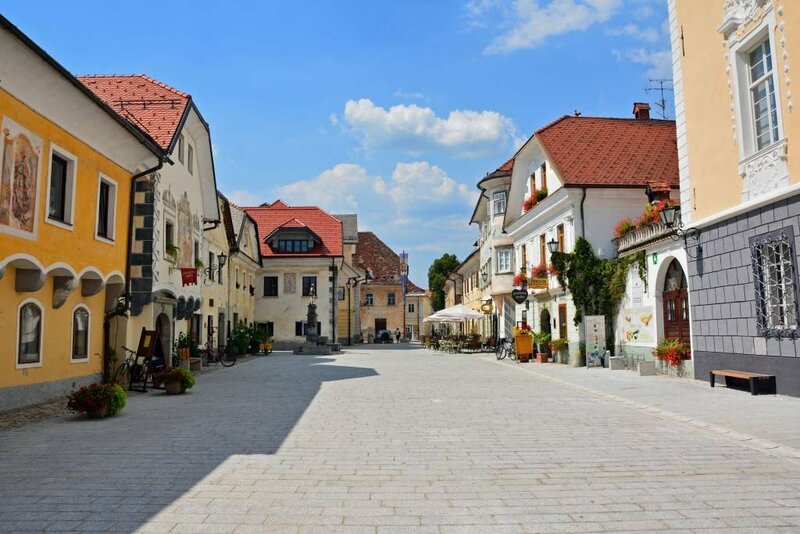 The area surrounding Radovljica is also worth a gander and exploration, as the town itself overlooks the Dežela plain to the east and the Sava river valley to the west. 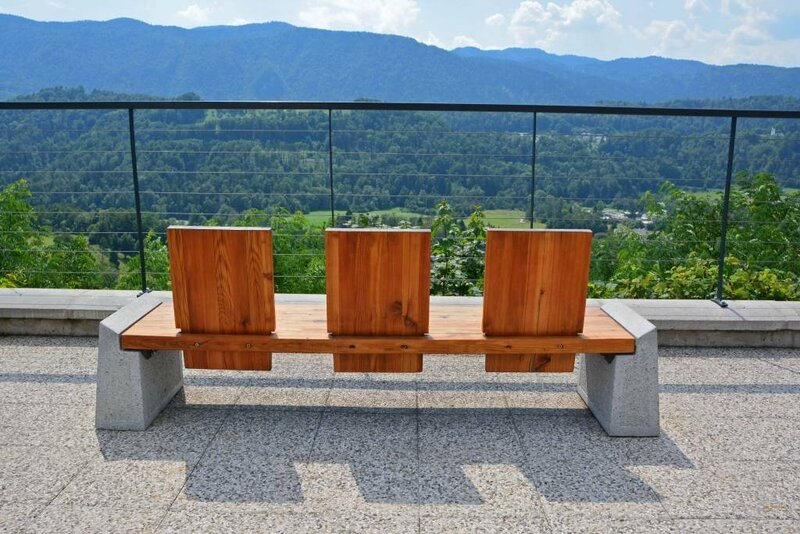 No matter which direction you look, the Julian Alps dominate the backdrop. 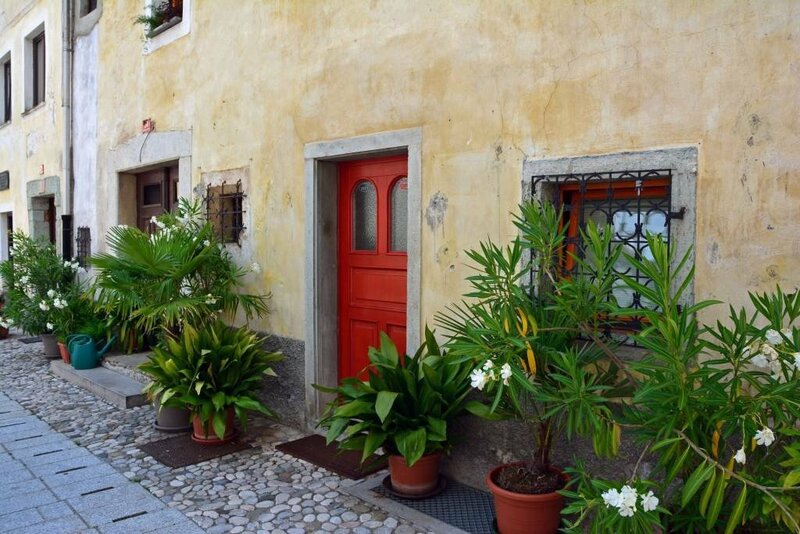 If visiting Slovenia in the summer months, you may want to consider staying in a quiet small town like Radovljica, or even Bohinj, where we stayed. Then take day trips to the often-crowded Lake Bled and Vintgar Gorge, as opposed to the opposite. 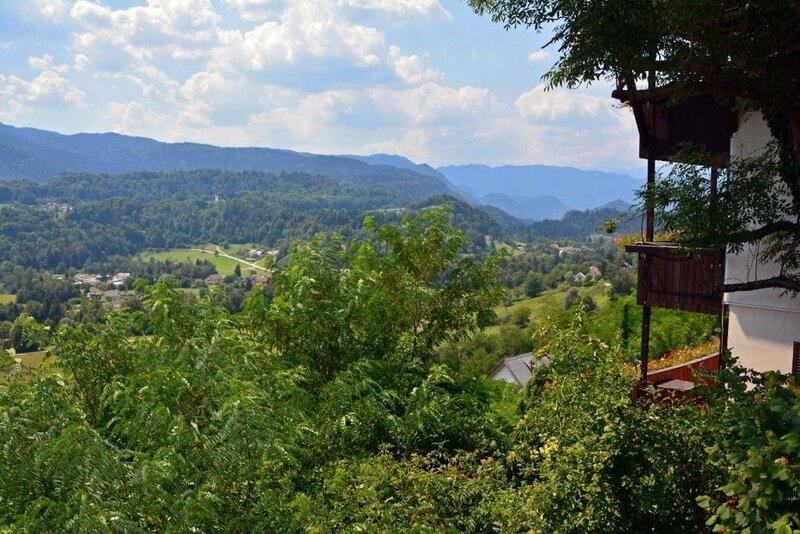 Either way, we’re convinced you will enjoy your visit to Slovenia. With so much to explore… like us, you’ll want to go back for more!